Choosing the best university for you can be such a challenge. Considering how many there are not just in the UK but all over the world, choosing the right one might seem impossible. The first thing you need to do is decide on the course you would like to study, and for me this was a major struggle. I was interested in three very different subjects – Fashion, Photography and English – yet I had to express an interest in just one for my UCAS personal statement. Back then it all seemed over-whelming and almost impossible. However, as I started to do my research I was naturally drawn to the courses most suited to my goals. I know what you must be thinking… there are so many – how do I start? Location – do you want to be on a campus or in a city? Course structure – is there a placement year? Will there be module options after first year? Is the course exam/coursework based? Which are you better at? The opportunity to travel – do you want a chance to see the world? Once you start asking yourself those basic questions you will soon realise you know a lot more about yourself and this process than you realise. 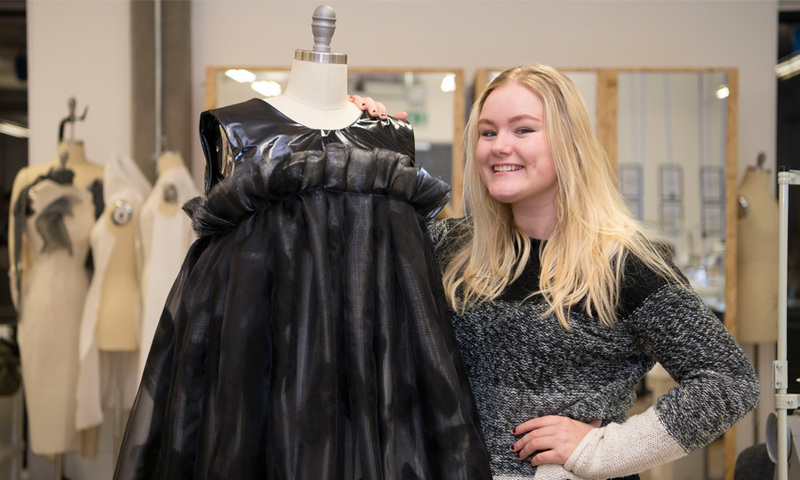 I’m speaking from experience – this was the strategy that helped me with my decision to study Fashion Design at Cardiff Met! If you’re struggling to find a course that combines two things you’re interested in, make sure you research all aspects of the university – there may be other opportunities for you to follow your interests. For example, I loved writing, but I knew that I wanted to study fashion design as my degree. Then I discovered that Cardiff Met offers students the chance to blog, like this. There might also be societies that let you follow your passions. You never know what opportunities a uni might offer until you do your research. After you’ve completed your research and chosen a subject it’s time to pick which universities to apply for. If you’re applying through UCAS you’re allowed up to five choices. If you can go to Open Days at all five, do. I truly believe that it’s the most effective way to find out what is best for you. Once you’re on campus it allows you use your imagination and picture a typical ‘Day in the life’ at that uni. You’ll have the opportunity to view the facilities, meet the teaching staff and look at where you could live. When you arrive, the best advice I can give is to remain open minded and let the university present itself to you fully before comparing or making a snap judgement. Take advantage of everything – don’t just see the university, try to visit the local town and landmarks and basically get to know the area. Don’t be shy either, ask the person who is showing you around as many questions you can think of and really soak-up the atmosphere of the university. What are the societies/extra activities like? What do they look for in a personal statement? How is the course going to make you more employable – what are past students doing now? What’s the lecturer’s background – did they work in industry? If you’re applying for student finance, does the universities offer any bursaries? For me, deciding on a course at university felt like taking a massive risk – I was really worried about making a mistake. So my final tip is to remember that this is for you. There’s a sea of different pressures when choosing a uni, and it’s easy to feel like you’re drowning. Maybe you’re trying to impress people, or make them proud, or you’re forever feeling like you’re not good enough. Remember that you absolutely are good enough, and at the end of the day you’re the one putting in lots of time, effort and money into coming to university. Think about your strengths, your hobbies and your achievements. What makes you happy? What makes you motivated? What makes you… you? Understanding yourself will help you understand which university is best for you. Want more tips on choosing a university? Check out Will’s blog. You can also check out our latest Open Day video below.